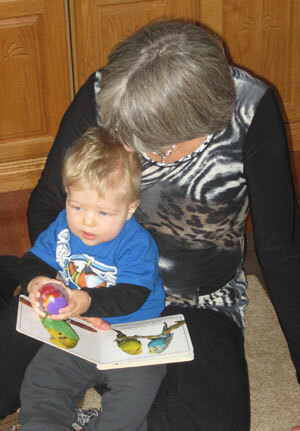 Jan reads to her grandson. Never to early to start reading to your children. 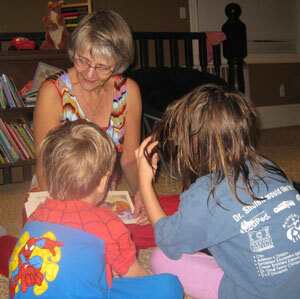 Jan reads to her grandchildren. Always ready for a story.